Victoria Falls in Zimbabwe was designed solely with visitors in mind. 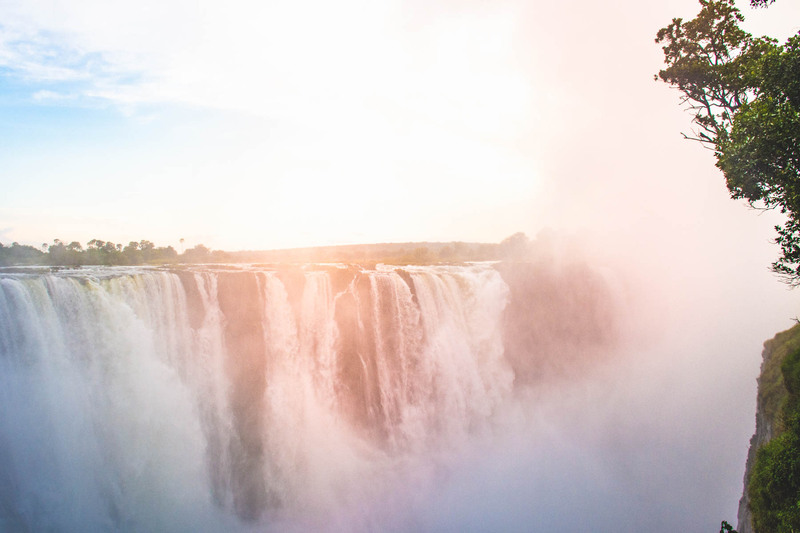 Over 100 years after construction, Vic Falls continues to lure wanderlusters after adventure and leisure in equal measure. David Livingstone witnessed the spectacle of spray that he renamed Mosi-oa-Tunya Victoria Falls back in 1855. Mosi-oa-Tunya means “The Smoke that Thunders”, which was the name given to the enormous waterfall by the local Kololo tribe. Thanks to his voyage, visitors back in the United Kingdom wanted to see this world wonder for themselves. 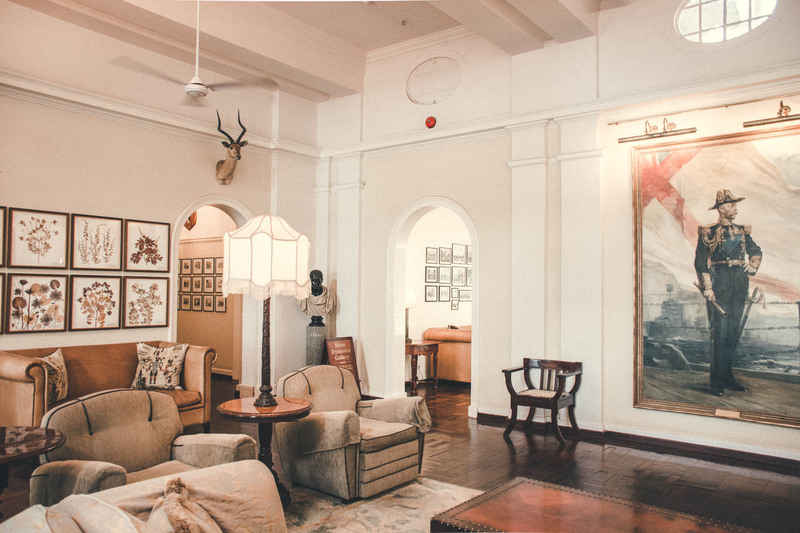 The Victoria Falls Hotel was built by the British in 1904. Originally, it was planned for use as accommodation for the workers building the ambitious Cape-to-Cairo railroad. 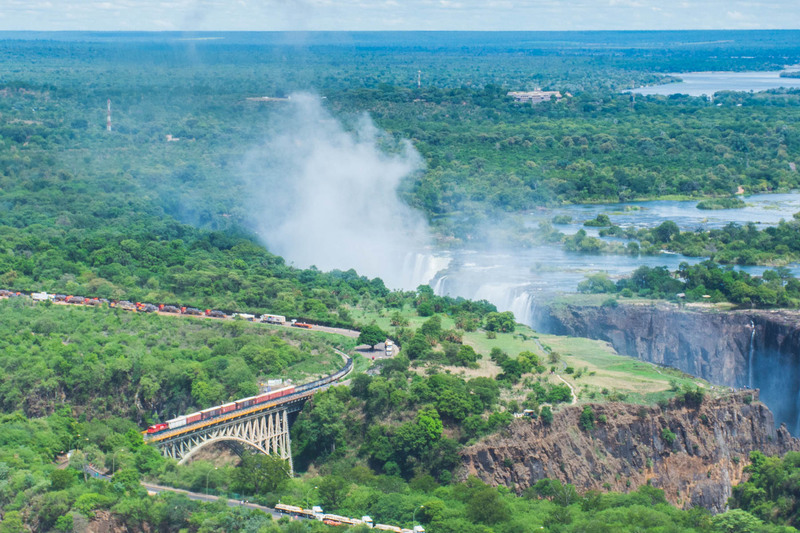 Once constructed, the steel bridge across the mighty Zambezi River, and the deep plunging Batoka Gorge, thus joined present-day Zambia with Zimbabwe. Then it was all systems go for tourism. Victoria Falls is the birthplace of tourism in Zimbabwe. 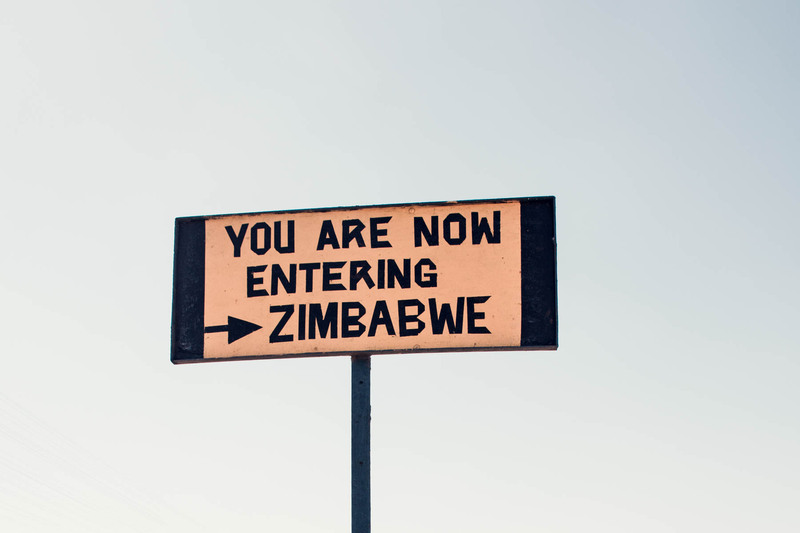 Visitors have streamed into this little town for over a century and it still stands like a beacon at the very tip of the country, remaining largely unaffected by Zimbabwe’s political issues. 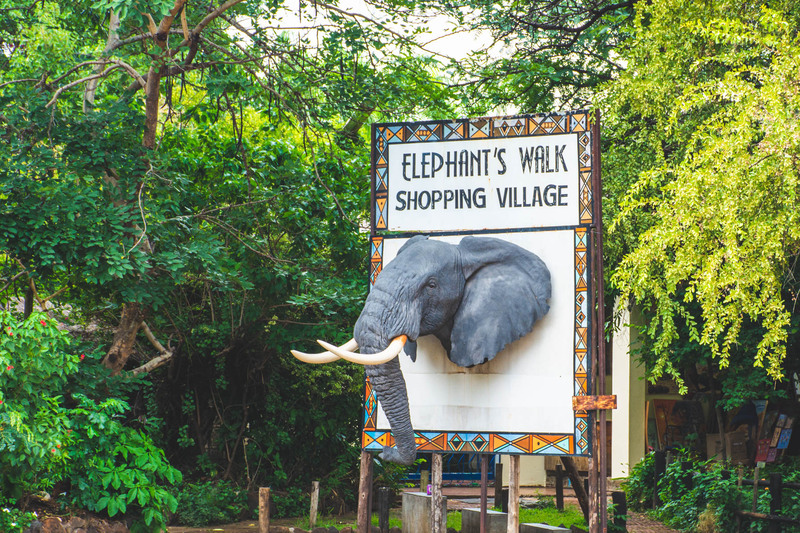 Thanks to its sightseeing-friendly construction, the town is still small today, easy to walk around as a visitor and has grown into one of Africa’s premier adventure destinations. A UNESCO World Heritage Site and one of the seven natural world wonders, the vast majority of the 1,7-kilometre-wide Victoria Falls is seen from the Zimbabwean side. 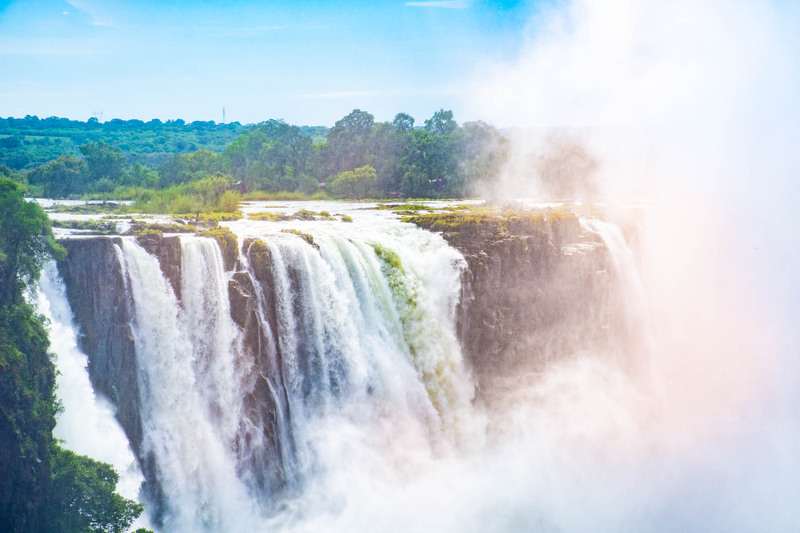 Border-wise, the larger area of the falls technically lies on the Zambian side, but the viewpoints on the Zimbabwean side offer up plenty of different ways to see this sprawling wall of water. Here’s how to have the perfectly balanced weekend in Victoria Falls. 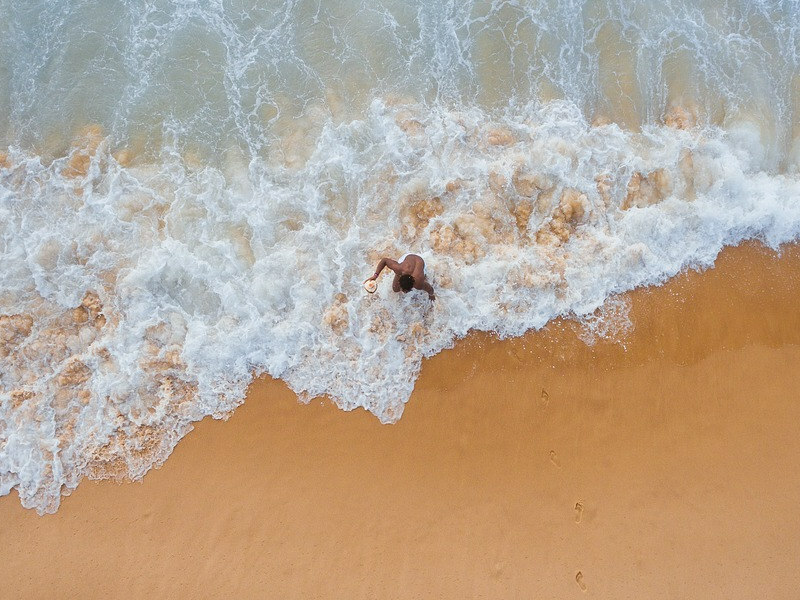 Travel tip: If you only have a day, rather than 48 hours. Many Kasane-based hotels can help arrange a day trip to Victoria Falls. Back in the early 1900s, the railway was kings of transport, but soon aeroplanes followed. In the 1930s, it took almost a week to fly from the northern hemisphere to Southern Africa, stopping throughout Africa to refuel along the way. Today, the Victoria Falls airport has the capacity to handle about 1,5 million passengers every year thanks to a recent $150 million refurbishment. Just a two-hour flight from Johannesburg, Zimbabwe is as easy a weekend destination as Cape Town. Once you hit the ground, settle into the scenery with an evening spent at the Victoria Falls Safari Lodge waterhole. 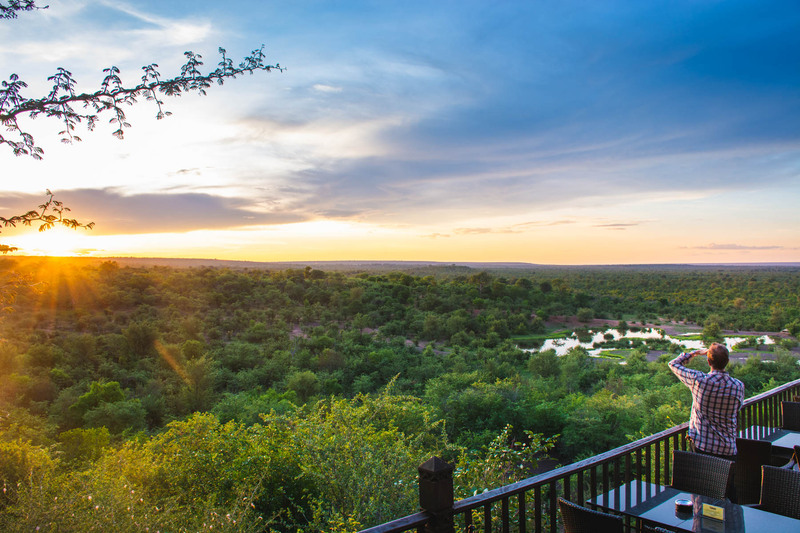 The MaKuwa-Kuwa Restaurant boasts an incredible view, often filled with buffalo herds, elephants and more. Do drinks on the deck, then meander upstairs for mains – some exciting options include Zambezi bream and ostrich carpaccio. If you’re after something a little more lively, The Boma Dinner and Drum Show promises a cultural night of dancing, singing and delicacies such as mopane worms. 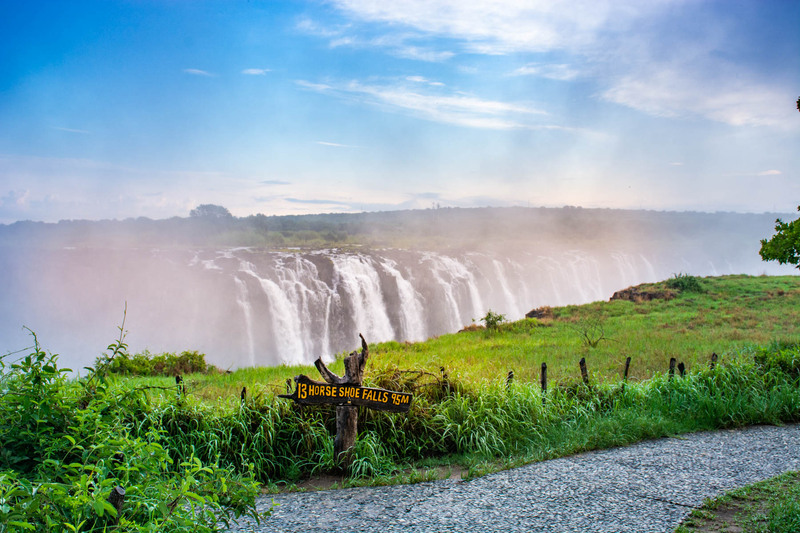 You’re probably dying to get to the Victoria Falls viewpoints but hold back for one more day. Rather kick start your stay with an epic adventure. Victoria Falls activity centres strongly around the town’s iconic steel bridge. You can throw yourself off it on a bungee jump, swing alongside it on the lengthy zipline, paddle below it on the wild white waters of the Zambezi, fly above it in a helicopter or even walk inside it on a historical tour. For more detail, read about these 10 adventurous things to do at Victoria Falls. 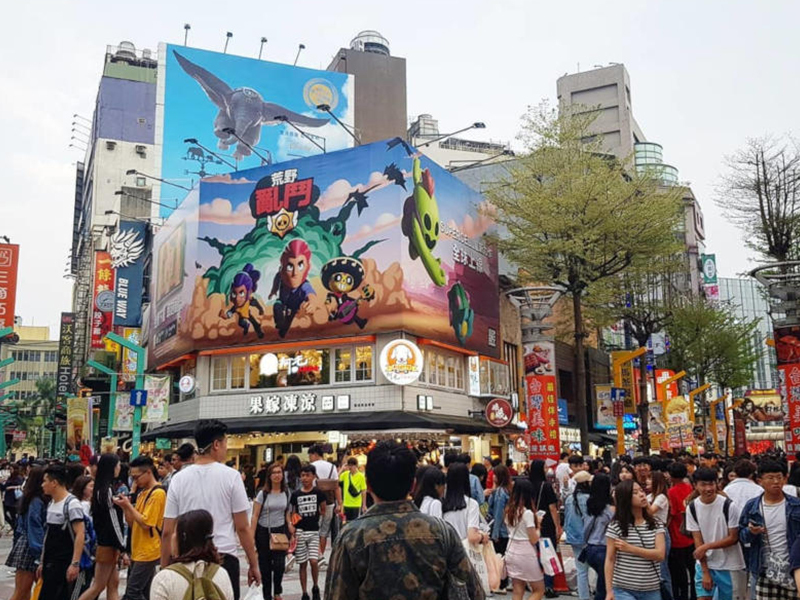 Most of the operators are based in town and you can easily stroll around, simultaneously exploring the town and planning your day. 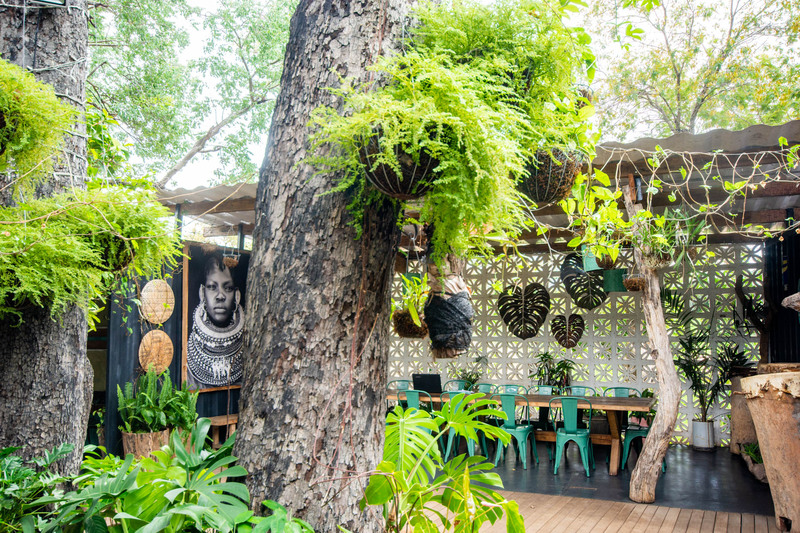 If you don’t have an activity to attend, go for a chic, Afro-inspired brunch at Zambezi House. 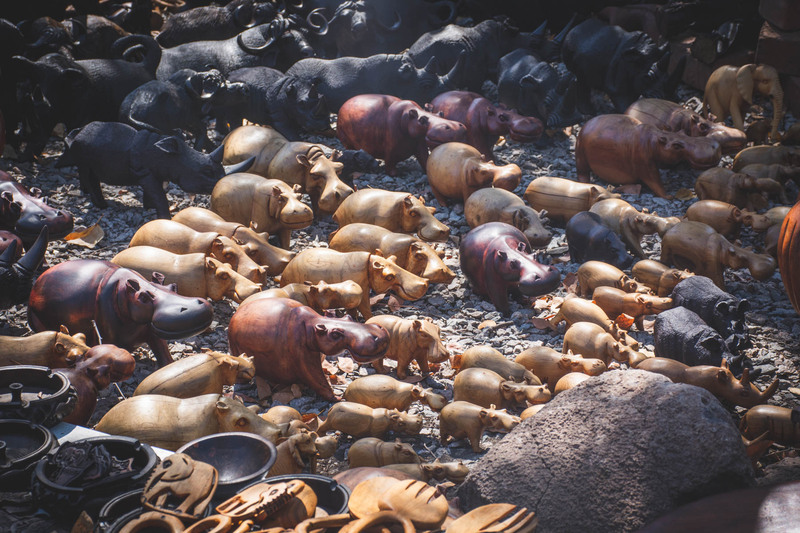 Set on the banks of the Zambezi River featuring fun, tropical decor and frequented by warthog families, it’s a little further out of town. Most hotels can arrange a taxi for these further excursions. 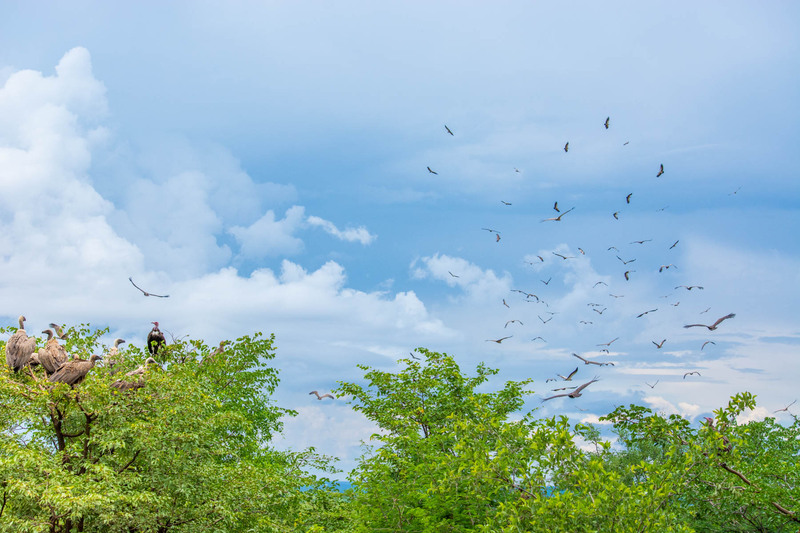 Unless you’re paddling, flying or free-falling, make sure you’re back at Victoria Falls Safari Lodge for the daily, free Vulture Culture experience at 1pm. The lodge has been feeding these curious birds for 19 years. Each day, the fierce-looking vultures fly in from far and wide in their hundreds for a free feast. 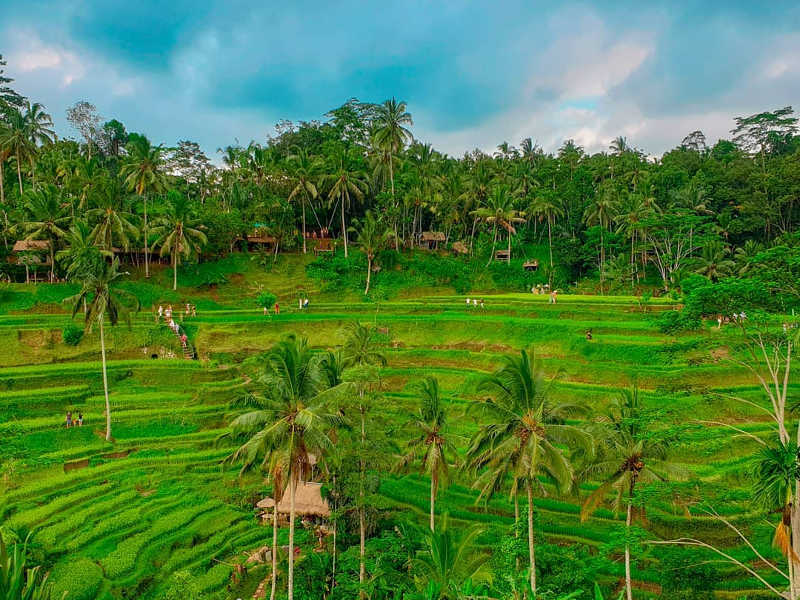 There’s an informative talk filled with facts, such as their long lifespan of 50 years, which follows the free conservation-inspired spectacle. Don’t miss it. After a day of adrenaline, settle down for something slightly more civilised. High Tea is served between 3 pm and 6 pm at the Victoria Falls Hotel, and it’s just as splendid as it’s always been. 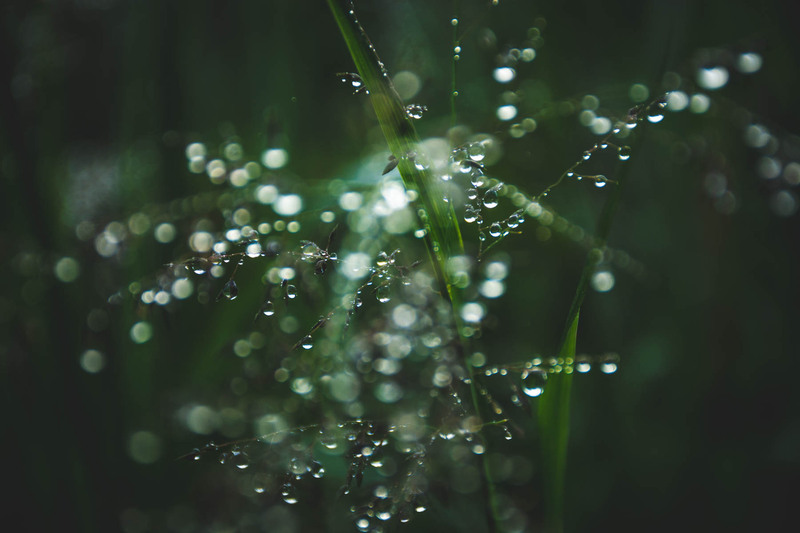 Sit out on the deck, listen to the piano, tuck into sandwiches, pastries (or a G&T) and watch the mist from the Victoria Falls file into the sky from the hotel verandah. It’s sure to build up the suspense for tomorrow’s visit. If you’re still up for one last activity, wind down the day with a sedate cruise on the Zambezi River. Admire hippo pods and other wildlife that live in the Zambezi National Park. You’ve saved the best for last. Wake up early. Livukile means good morning in Ndebele. Embrace the morning and get up early to experience the sun rising over the Victoria Falls. The gate to the Victoria Falls National Park opens at 6 am. Many operators offer guided tours of the falls, but it’s pretty straightforward to navigate the walkways by yourself. Plus, the joy of being up at this hour is the high likelihood of having the falls all to yourself. Walk from the statue of David Livingstone and make your way along the top of Batoka Gorge. The path leads to various viewing points that each present a slightly different panorama. Rainbow Falls is the highest point at 108 metres. As the name states, often beautiful rainbows form here. Travel tips: Pack a raincoat and a dry bag for your electronics. The spray from the force of the water hitting the bottom of the gorge creates constant rain. It feeds the glorious rainforest though and is part of the waterfall experience. You can’t go in and out of the national park. It costs $20 per person (for South Africans) for a single entry. The on-site Rainforest Cafe has iced coffees and plenty more besides to cool off after the long walk. Outside the gates (and on your way home) there’s a craft market where you can snag a souvenir to take back home. Have you visited Victoria Falls recently? 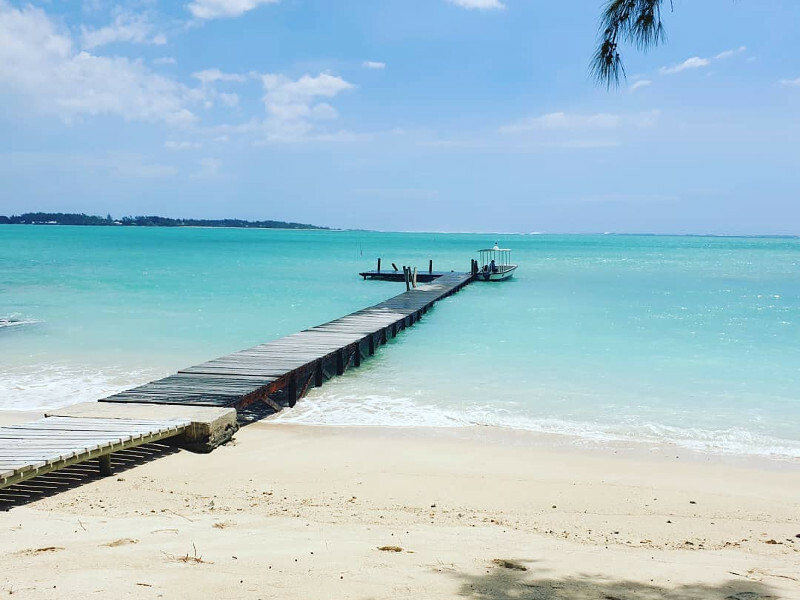 Tell us some of your favourite spots in the comments section below. Book affordable flights to Victoria Falls Airport in Zimbabwe now.